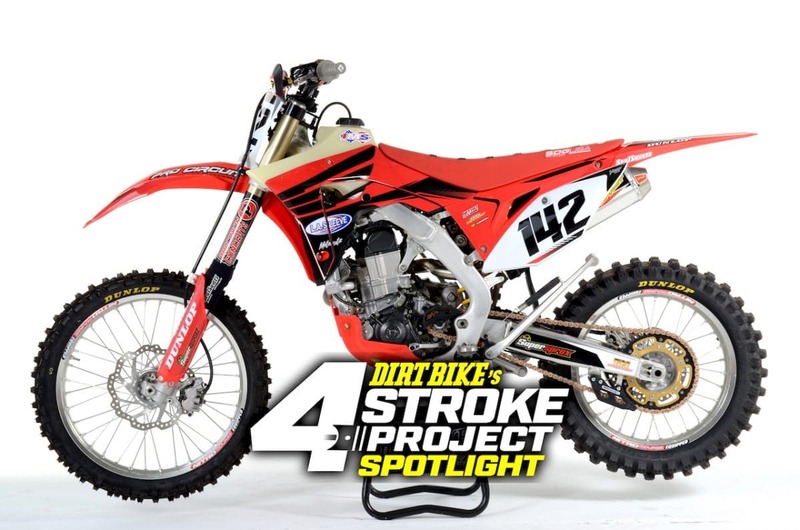 On this week’s 4-Stroke Project Bike Spotlight we give you a sneak peek at our LA Sleeve Honda CRF450RX off-road build that we just finished up. 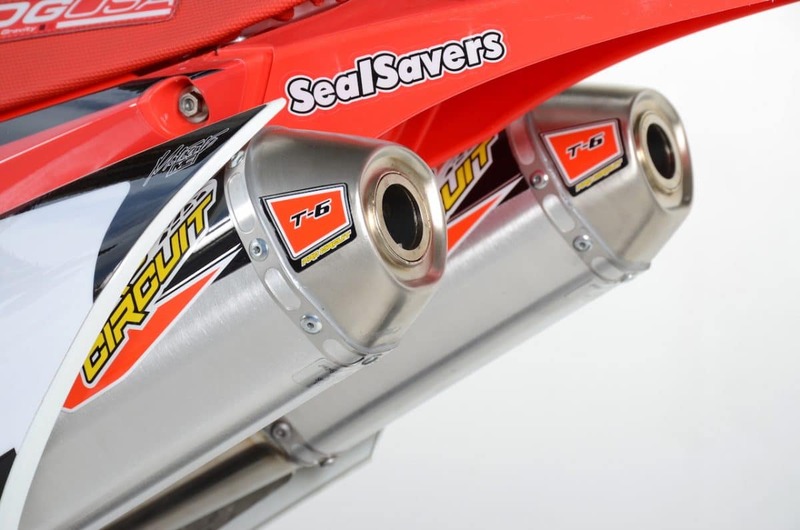 The 4-Stroke Hardware section highlights products from Pro Circuit and Seal Saver that are used on the build. Thumper Theater features three project builds and a 450cc off-road shootout you don’t want to miss! Look for an exclusive link to “Project Grandpa” at the bottom of this post. 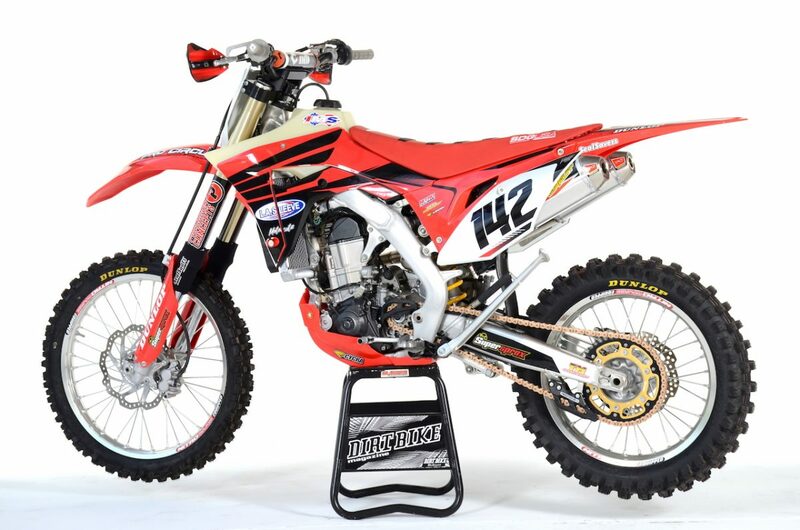 We built this CRF450RX with Mark from LA Sleeve as an all around machine. Something you can take on a trail ride with your buddies one weekend and then race a grand prix or desert race the next. This was accomplished using bolt-on items from Pro Circuit, Seal Savers, Cycra, Supersprox, IMS, Dunlop, TM Designworks and more. 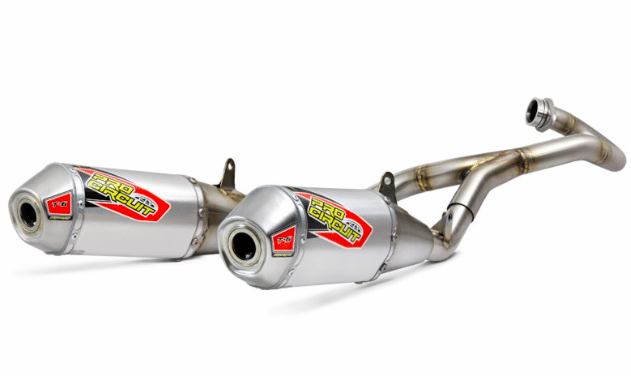 Pro Circuit stainless-steel and aluminum T-6 dual exhaust systems are designed to improve performance throughout the power curve and come with removable forestry service approved spark arrestor screens. 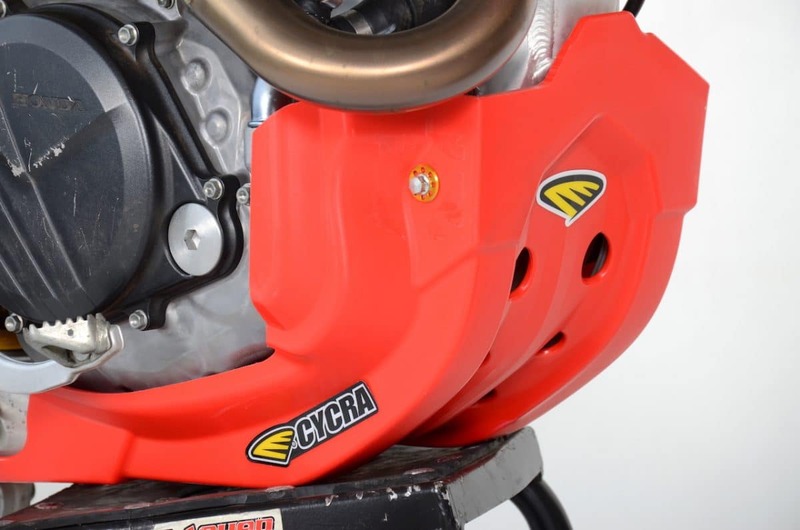 Cycra Full Coverage plastic skid plates provide tons of protection from the elements, include all mounting hardware and are available in a variety of colors. 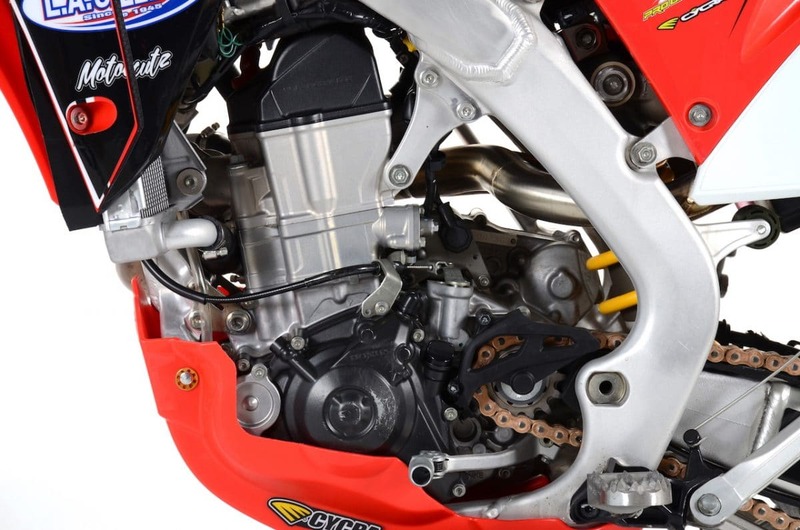 We also added matching red Cycra hand guards. 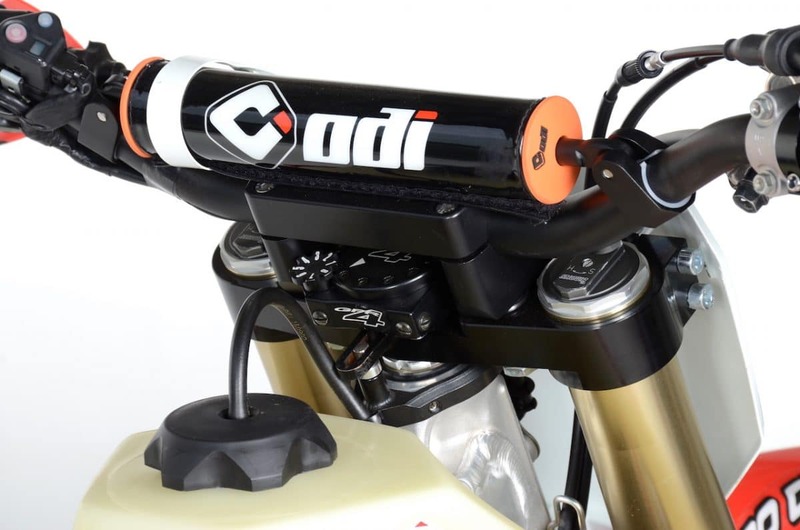 GPR Stabilizer Version-4 Pro-Kits are now available for most popular 4-Stroke models. Pro-Kits include the billet top-clamp along with V4 damper mounted under the bar and oversized bar mounts. We mounted ODI CFT bars for some added damping and lock-on grips. LA Sleeve does a variety of 4-Stroke engine work and repair. 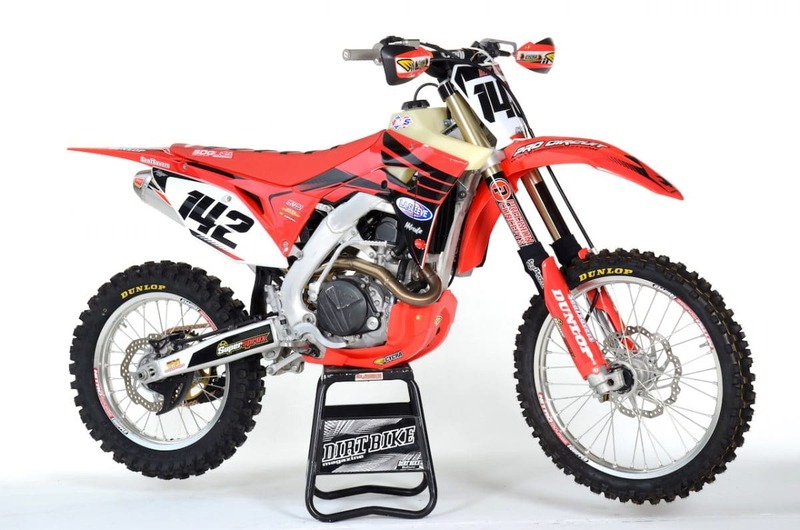 Our CRF450RX had some minor modifications performed on the head but they can build complete engines. 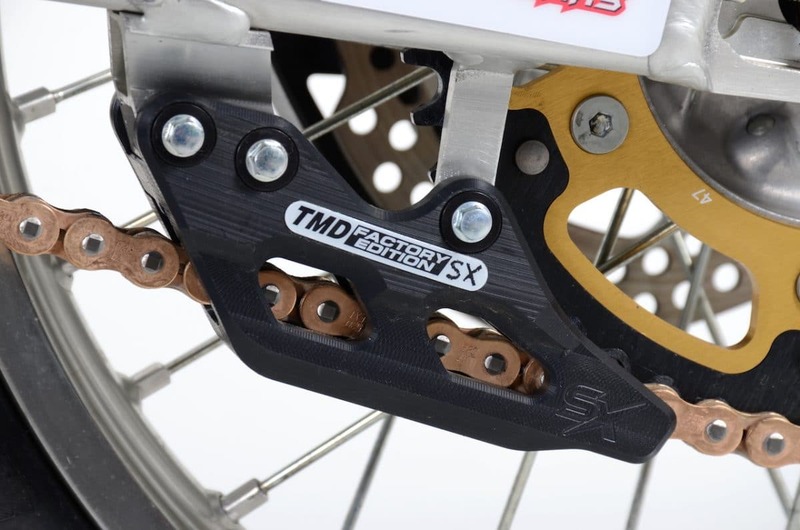 We decided to use an SX style rear chain guide from TM Designworks. 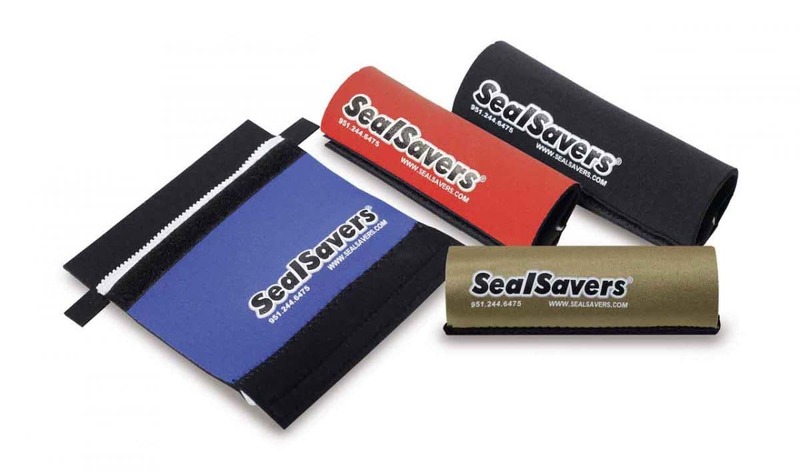 This gives us wear protection and increased strength all in a compact package. Precision Concepts took care of our suspension needs and we added some Seal Savers to the front fork tubes. An IMS oversized tank is a must for most off-road builds and are available in a screw cap or quick dump design. We also used Dunlop AT-81 tires and Nitro Mousse foam inserts to eliminate the possibility of getting a flat. If you like the build featured on this week’s 4-Stroke Project Bike Spotlight check out this Yamaha YZ450F we built with Dubya USA. Click the image below.